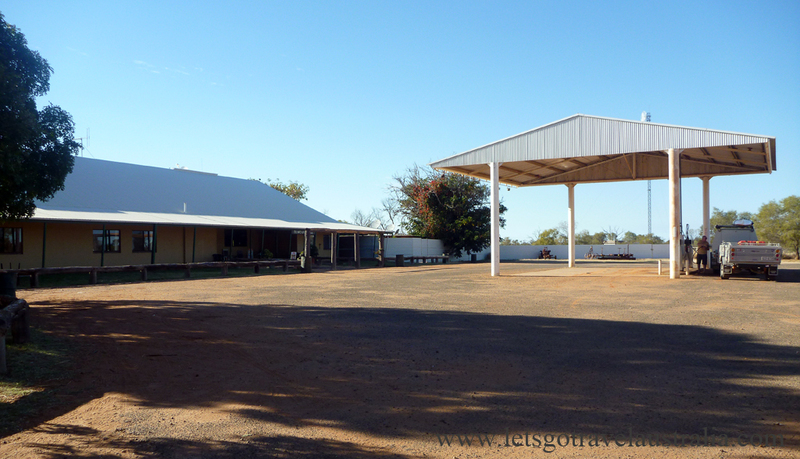 19/6/14 – We found out about 9pm local time that road trains also use this rest area. One arrived and stayed until 5.30am, he left and another one pulled in. 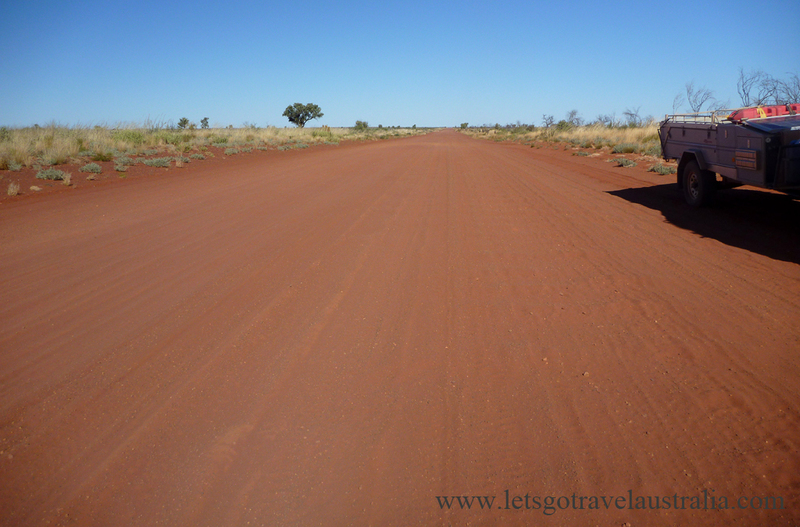 From Alice Springs to Halls Creek the Tanami is the longest shortcut in the world at 1077km. Total unsealed length 763km. We were on the road by 9am local time. 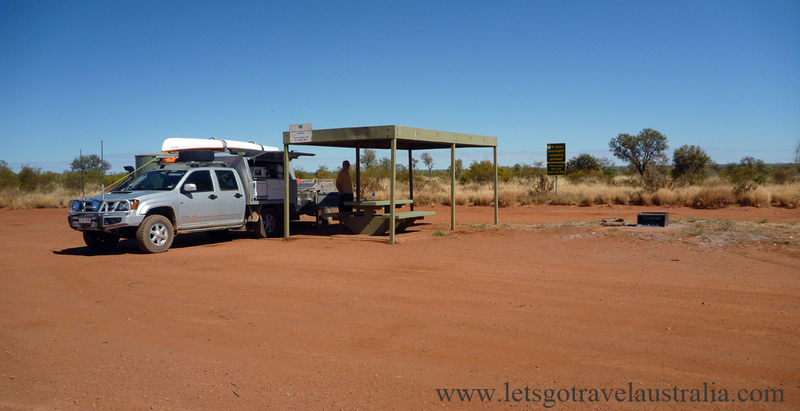 We stopped and topped up the tank at Tilmouth Well roadhouse. Fuel was $2.25L. There are no doors on the loos. 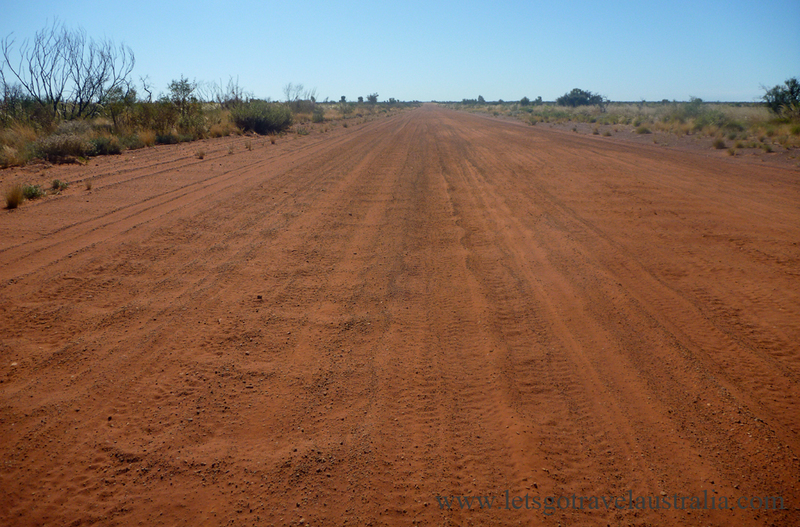 The Tanami is bitumen until just past Tilmouth Well. 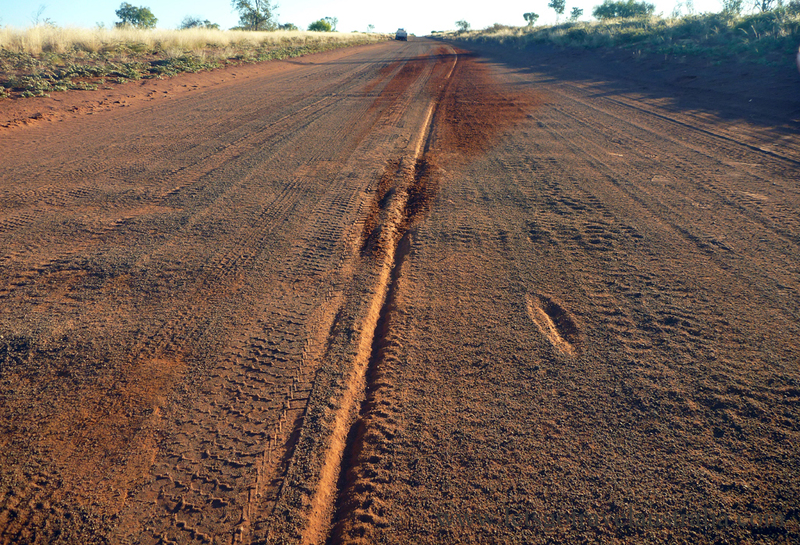 The road was a lot wider, corrugated and bull dust. We stopped and had morning tea and Chris let the tyres down ready to tackle the dirt. There are sections of bitumen. We stopped at Renahans Bore for lunch, another spot that you can stay the night with fireplace, shelter, table and water tank. 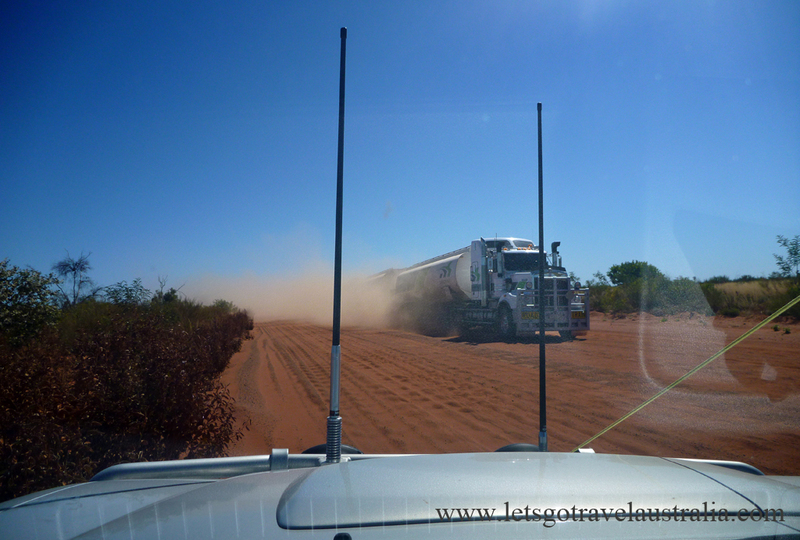 It was about 4pm and we were starting to look for a place to stop when we heard a bang and the Ute pulled to the right, with Chris grabbing the steering wheel tightly to gain control and get us to stop safely. With him saying this isn’t good, this isn’t good and he was right. 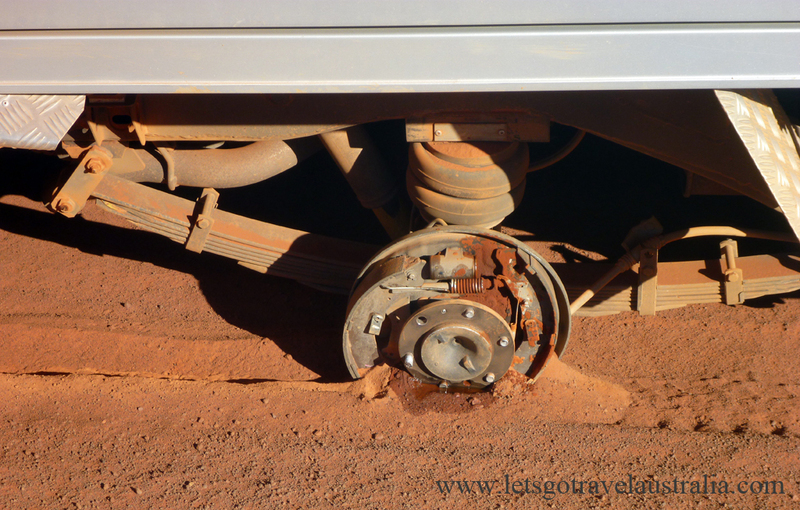 We had lost a wheel, with the studs on the wheel snapped off and the brake backing plate dragged along the ground. We found the tyre in one direction in the bush the brake drum in the opposite direction and the nuts and cap close to the road. Someone how we managed to find all the bits bar one nut. When the wheel and brake drum had come off the Ute they damage the mud flap bending it backwards and damaged the edge of the stone stomper. One or both had also hit the stone guard on the trailer putting a small rip in it and breaking the 20lr water drum on the front of the trailer. So we had wet red mud all over the front of the trailer and rear of the ute. The stone stomper and guard would have protected the trailer. The brake backing plate was damaged and curled inwards so it was flat along the bottom, Chris pulled it all back into shape with vice grips. We had also been leaking brake fluid which Chris soon stopped. As bad as it was it could have been a lot worst. Chris jacked up the front wheel with the idea of using 2 studs from each front wheel but they weren’t so easy to get too. So he took 3 from the other back wheel. 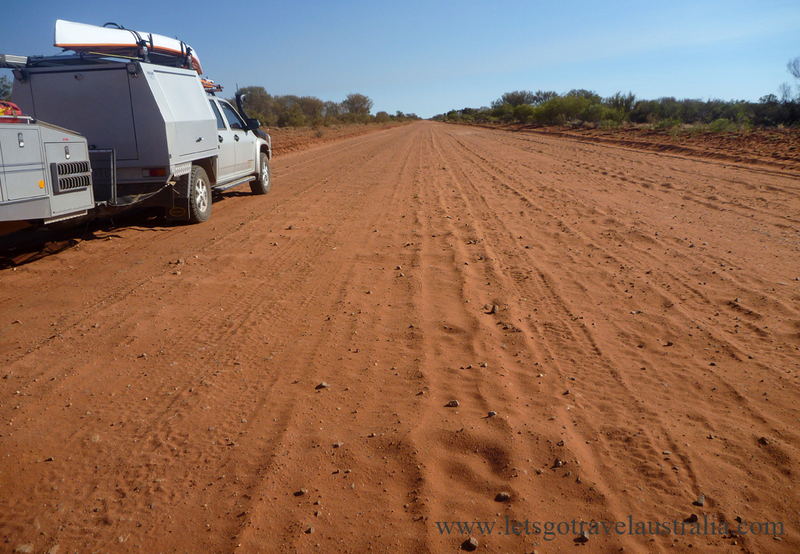 Eventually after 6 hrs on the side of the Tanami Road we started moving again it was after 10pm by this time, brakes were a bit dodgy, the brake warning light on the ute was on. All we wanted to do was find a place to stop for the night. After 20 odd Kms of going slow we broke another stud on the same wheel as it had not been pulled through its hole enough and had come lose. Poor Chris was kicking himself that he didn’t stop and check it all earlier. Thankfully were we had stopped we could pull off the road safely for the night. We eventually crawled into bed after 11pm. Chris was feeling pretty bad we had broken down and were stuck. All I thought was damn I sure married the right guy, he is so handy and can fix most things to get us out do trouble. This was the last thing we thought could go wrong, we will be carrying extra studs now. How did it happen? We didn’t hit anything, sure the road was a bit rough but we have been on far worst. Chris said the studs can crack when they have been tightened too hard with a rattle guns at workshops and then at some unknown time break and the wheels come off.